The stunning official tie-in to Ainsley's major ITV1 show includes all the recipes from the series. Join the nation's favourite TV cook on his food adventure. 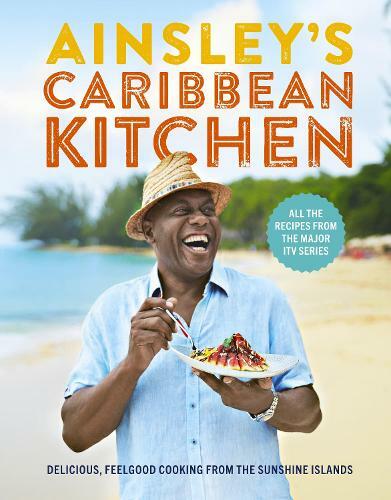 Ainsley Harriott is going back to his roots to uncover the best-kept secrets and simple dishes of Caribbean home cooking in this ultimate feel-good cookbook. Among the brand-new, mouthwatering recipes that are featured on the show, there will be over 80 dishes inspired by the diverse culture and the rich food heritage of these much-loved islands. You'll find light dishes and snacks such as Crab and chilli cornbread muffins and Chickpea and plantain patties; flavoursome main meals including Grilled chicken roti wrap with mango dressing and Grilled lamb cutlets with green herb yoghurt; not forgetting indulgent desserts and cocktails including White chocolate, rum and raspberry creme brulee and Lazy man's long island iced tea. This stunning cookbook will bring exciting new meals to your family table and transport you to the real Caribbean in your own kitchen.